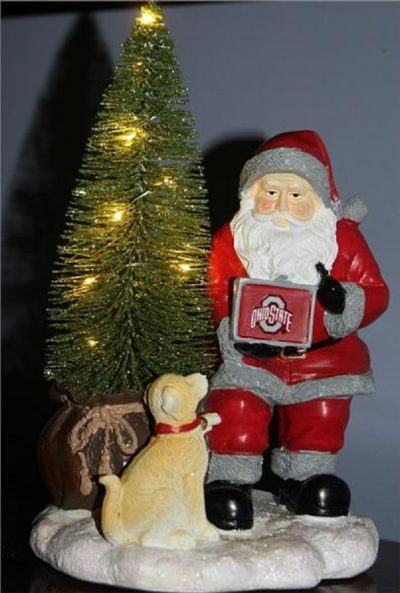 And a Jolly HO! HO!….Holiday cheer and team spirit meet with this new Memory Company 2018 Santa with LED Tree. The 2018 Memory Company Santa measures approximately 10 inches in height and is made of resin. 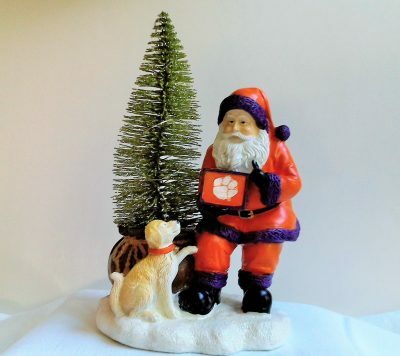 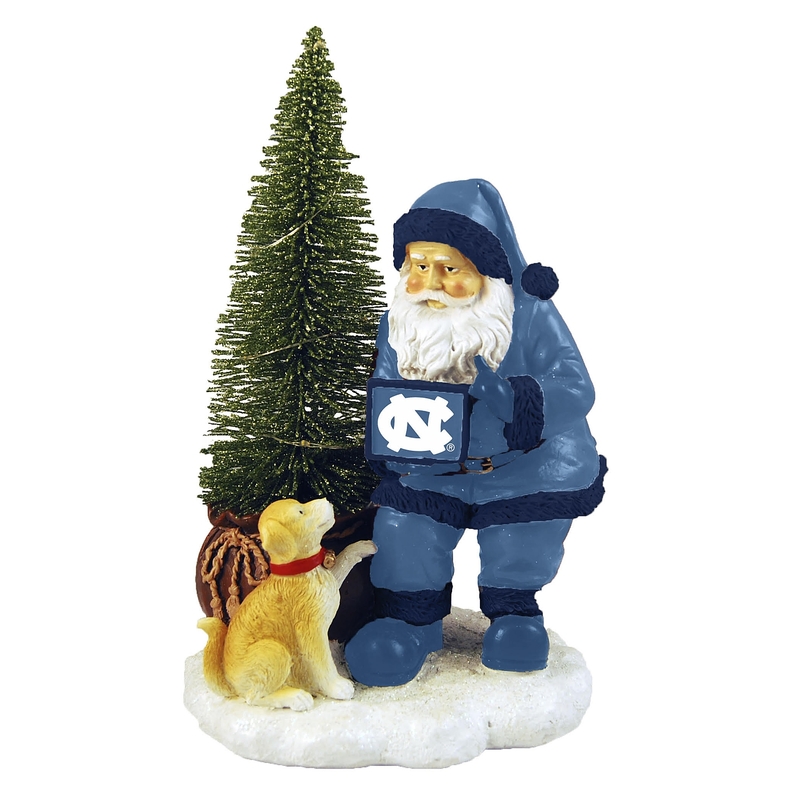 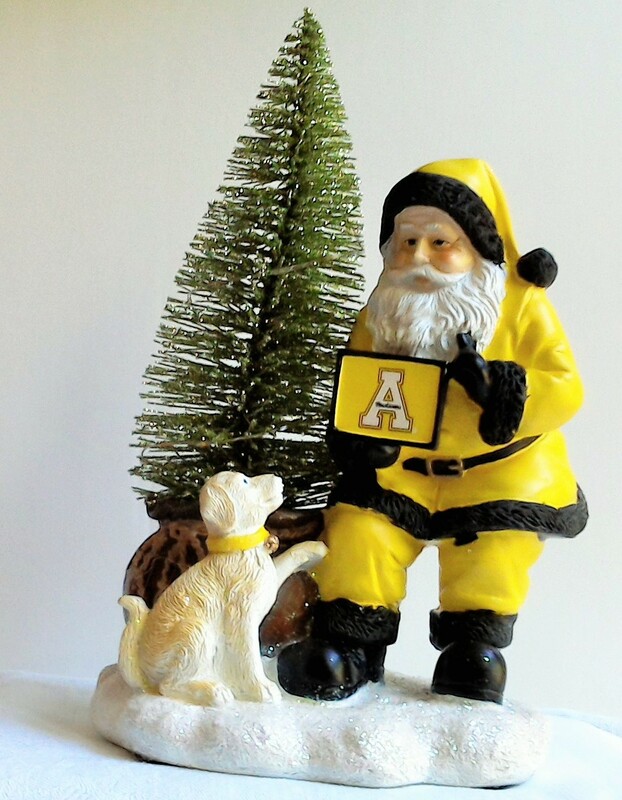 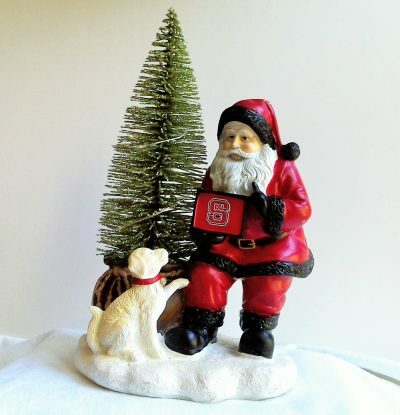 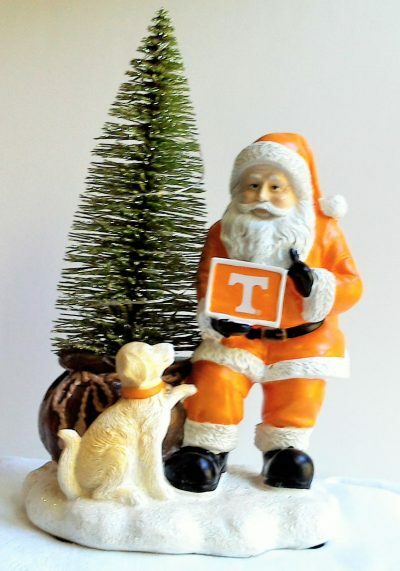 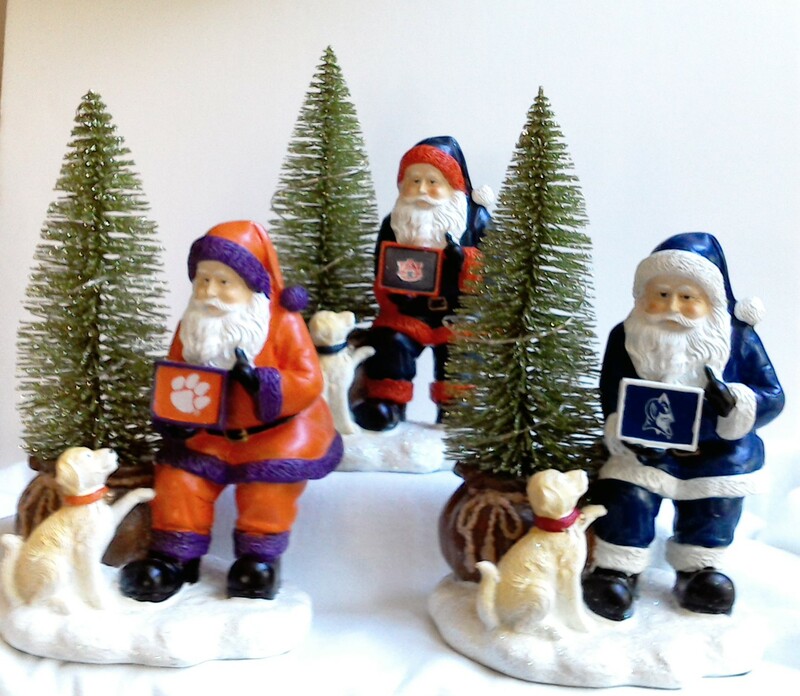 Hand-painted in team colors the Santa proudly displays the college logo on the Christmas package he has for his favorite fan. 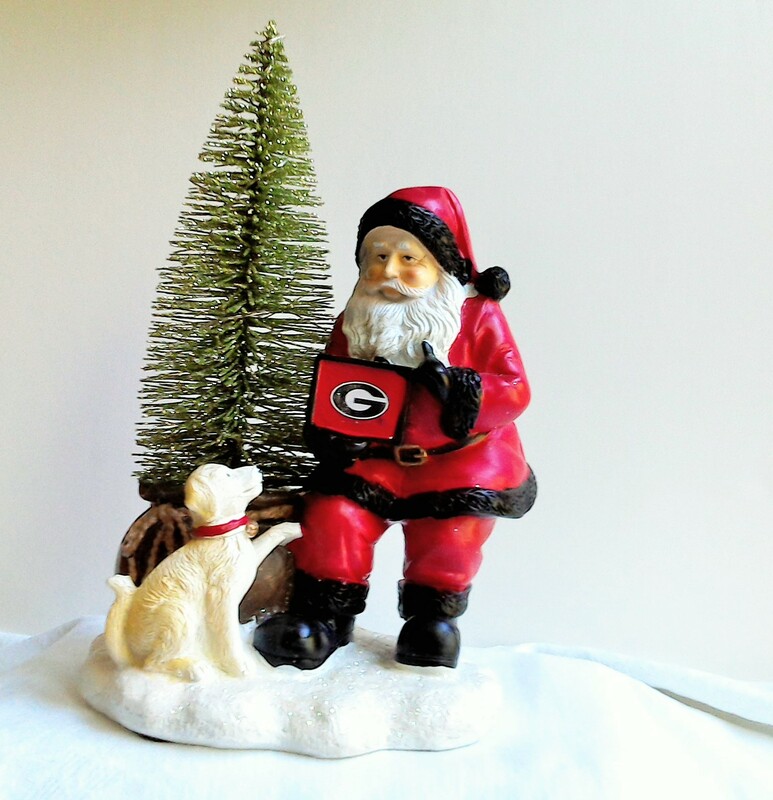 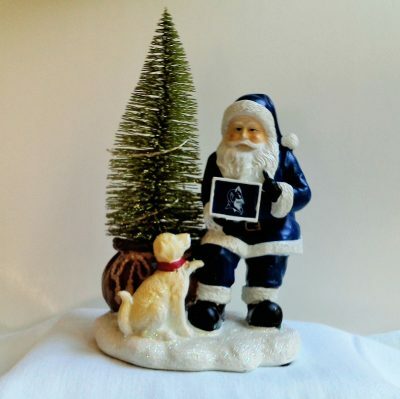 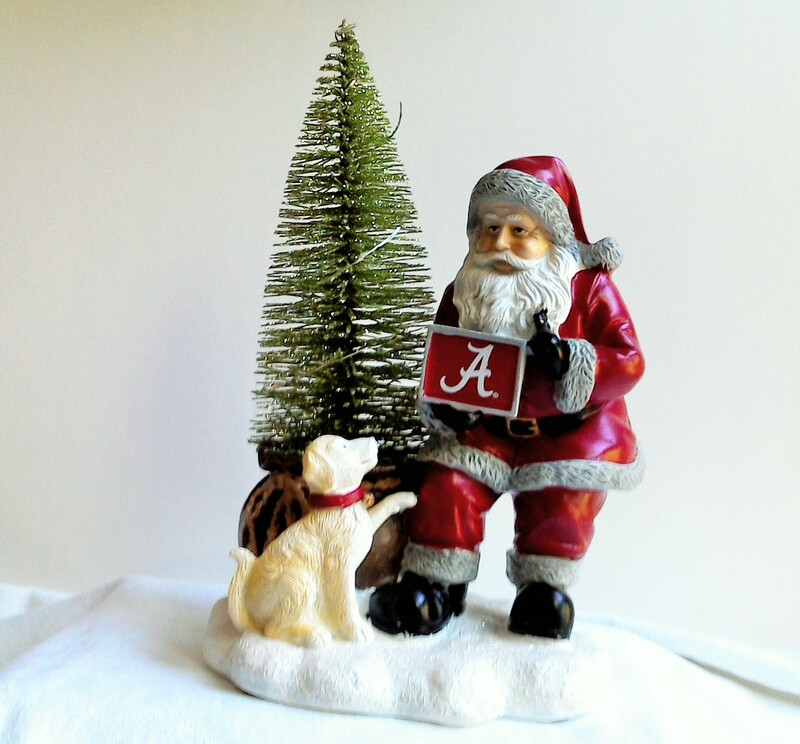 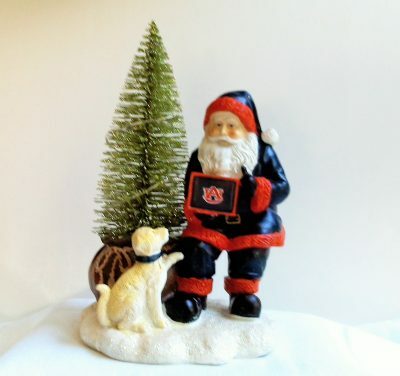 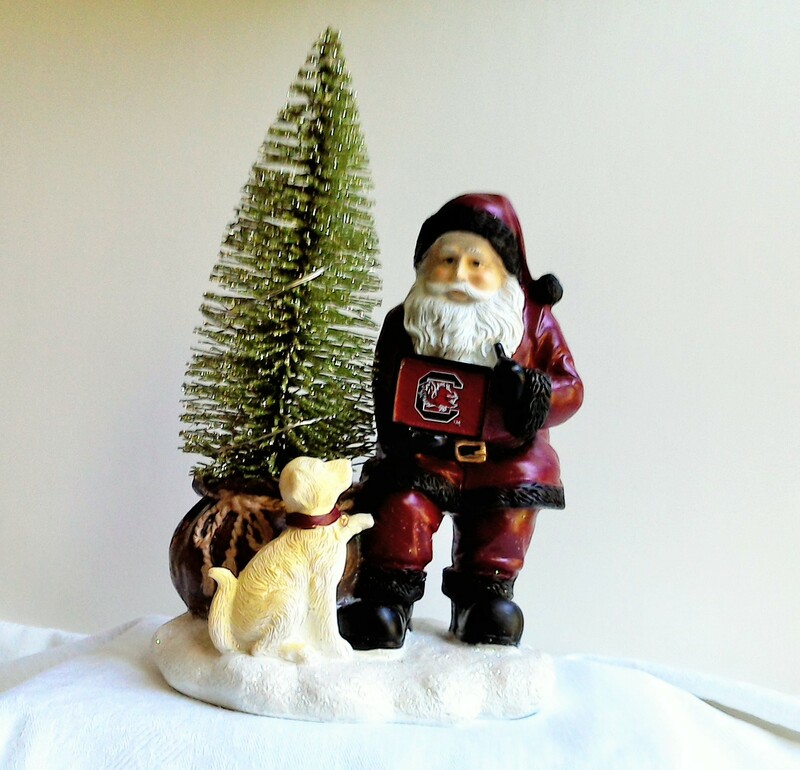 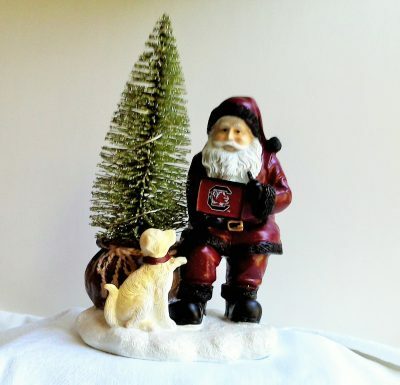 For an extra special touch the Memory Company 2018 Santa figurine includes a delightful puppy and a Christmas tree with a string of LED lights. 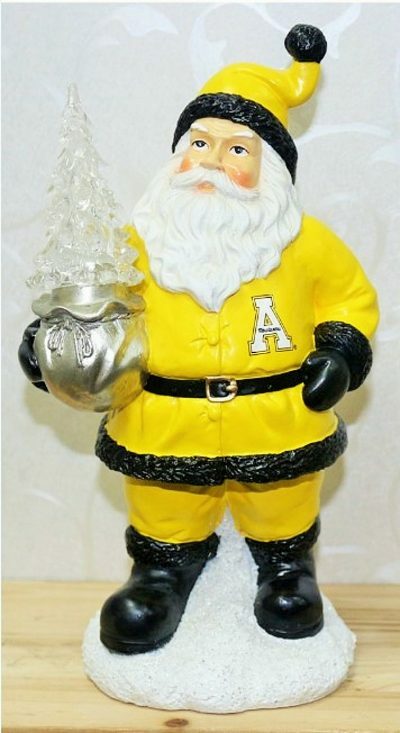 Use as a night light or just to add a little more dazzle to your holiday season.